potatoes, and carrots and has a touch of southwestern flare! I've been in Kansas all weekend on an amazing ranch trip with Certified Angus Beef. We've been learning all about ranch life, caring for cattle, beef quality, and so much more. We even had the most amazing chuckwagon dinner in the pasture! (I'll share more about my entire experience in a separate post soon!) In honor of our trip, this weeks' Sunday Supper theme is Cowboy Cooking. You know, like recipes from the old west! 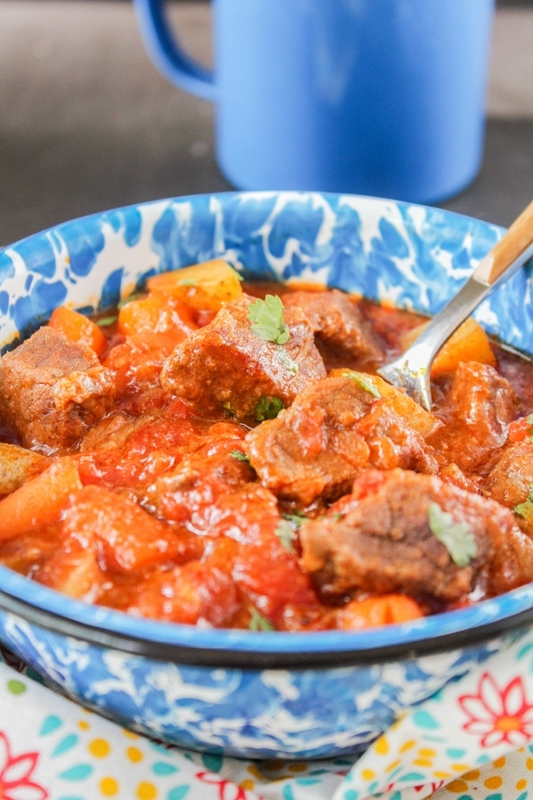 I decided to make a hearty and delicious Chuckwagon Beef Stew, which was quickly devoured by my son. It's stick to your ribs good and full of amazing flavor. 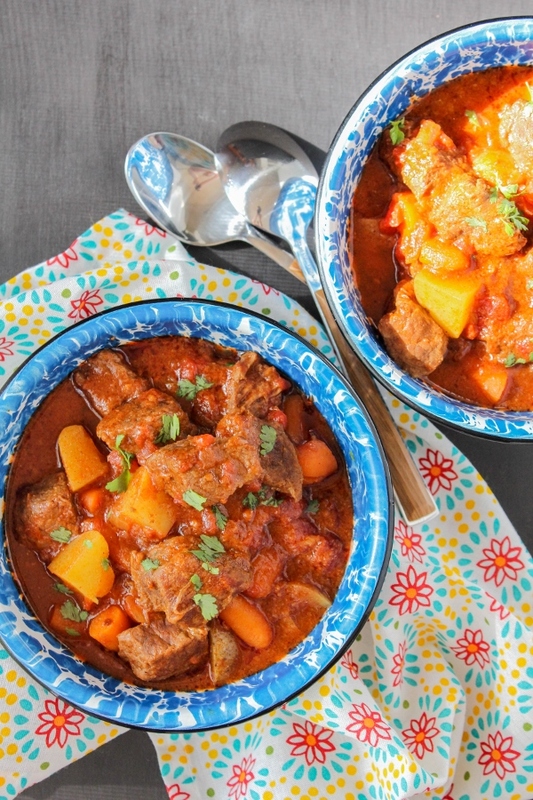 What makes this stew different from a traditional stew is the addition of chili powder and red pepper flakes. It has a little spicy southwest flare! 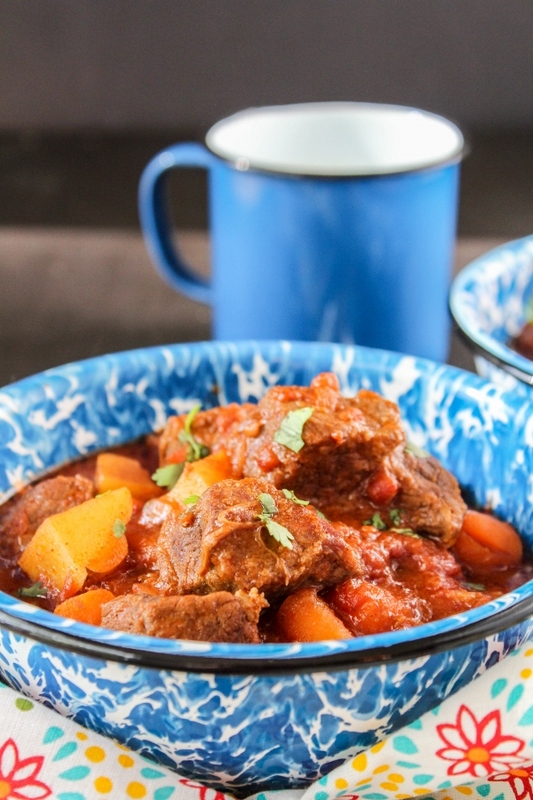 It's a thick and hearty stew that any cowboy would surely love. I only use the best beef in my stew, Certified Angus Beef. I love to buy their beef stew meat that's already pre-cut and ready to go. 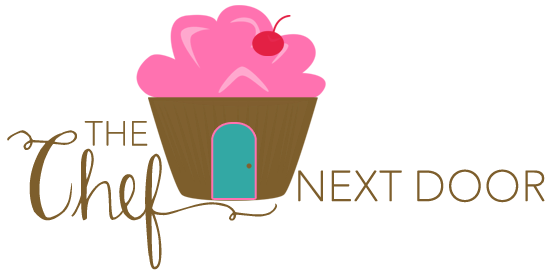 Who doesn't love a good shortcut?! 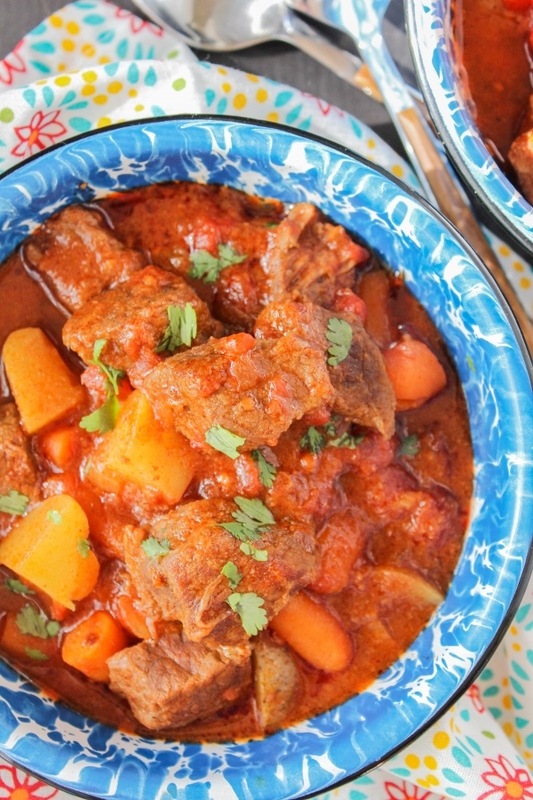 The stew is also full of tomatoes, potatoes and carrots, which makes it thick, rich and hearty. Serve bowls with a side of cornbread for a complete cowboy approved meal! In a large bow,l mix together the flour, one teaspoon of chili powder and salt. Coat the beef in the flour mixture. Melt the butter over medium-high heat in a Dutch oven or large pot. Cook the beef until browned on all sides. Add the onions and garlic and cook until softened. Add the tomatoes, 2 tablespoons of chili powder, and the red pepper flakes. Cover and simmer for 1 hour. Add the potatoes and carrots and cook until the vegetables are done, about 1 hour more. Sprinkle with chopped cilantro, if desired.